To make every tutorial we need some of the tools. 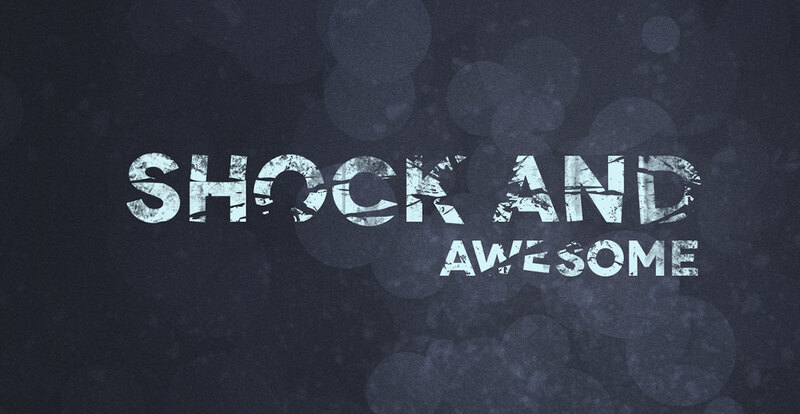 Here we need Grunge Brush set, Font, and Crack Brush set for making Cracked Text Effect. Let’s start with the Adobe Photoshop. Firstly open new doc. With the size of 1200px * 800px and fill up the background with Black color.Now open a new layer called “back texture” top of the background layer, and here we will paint using the Grunge Brush set. Press B to select the brush tool and follow the following step. To brush shape/size click on the down arrow, then press the right arrow on the top right on the brush palette and Click the “Load Brushes”. In here we will set of grunge texture to create our background. ON the back texture layer will use these brush set which we loaded before and some of grungy patterns. But it won’t with only one brush have to do with many color and different brush set. In our hand we got brungy style background texture. Now write something on this texture. I wrote EXT, but you can as you want. After that we should apply drop shadow. Set blending option and blend mode at multiply, opacity at 75% and distance, spread, size as 15, 10, and 20. At a time set inner shadow. Blend mode set as before, opacity at 40% and angle of 134 degree. Distance, choke and size as 15, 15, 25. Then set Bevel and Emboss. Here have to set structure and shading. Style at Inner Bevel, technique will smooth, depth 215%, direction at UP, size 2 and soften at 0%. In the shading mode set angle 134, altitude 30 degree, highlight mode screen, opacity 75%, shadow mode will multiply and opacity will be 75%. Then set gradient overlay blend mode at normal, opacity 100%, style linear, angle 90 degree and scale 54%. We got our text. This is the time to color it. Before color I wish to use cracked brush to make it more attractive. Then color it as you’re wishing but I colored it different color like yellow, white, deeper colors. Our image is ready.